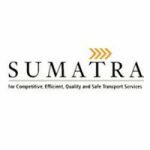 The Surface and Marine Transport Regulatory Authority (SUMATRA) is a Government Regulatory Authority established by the SUMATRA Act. CAP 413. SUMATRA's role is to regulate, promote and facilitate availability of efficient, safe, quality, reliable and economic transport services in the Surface and Marine Transport sub-sectors through competition and fair trade practices. • To perform any other duties assigned by the Director General. • University Postgraduate Degree in Engineering (Civil. Electrical. Mechanical) or its equivalent. • At least ten (10) years of working experience five (5) years of which must be at senior managerial position in a reputable institution (preferable an institution related to the post). • Possess basic knowledge in Information and Communication Technology (lCT) applications. such as Microsoft Office package. Successful candidate will be employed on five (5) years contract including six months of probation. renewable subject to satisfactory performance. Attractive remuneration package will be offered to successful candidates. • Applications should be on applicants' own handwriting indicating the Ref. No. of the application. accompanied with detailed Curriculum Vitae, copies of relevant certificates and detailed contacts of three (3) reliable referees. • Application letter and the envelope should have the Reference Number (Ref. No.) of the post applied. • Application without Ref. No. will not be considered. • Certificates have already been issued will not be considered. Application should be submitted to the address below not later than Wednesday. 13th December. 2017. Any application received after the due date will not be considered. Only short listed candidates will be contacted for Interview. P.O. BOX 3093, DAR ES SALAAM.